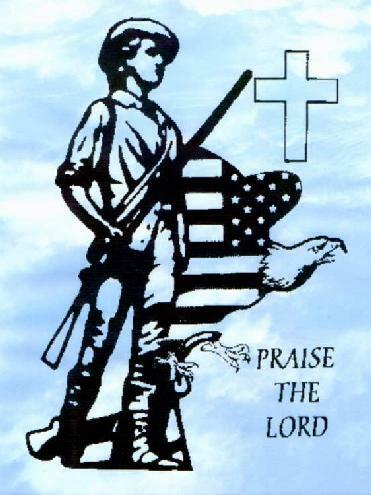 Is it okay for the Christian to be patriotic? Answering this question takes a bit of work, so please bear with me. The first thing we need to understand is that (among others) there are two simple, wonderful truths in the above passage from Genesis: (1) we are created in the image of God, and (2) the affairs of Earth were always designed to be human affairs. Let’s look at the second one first. Regardless of how you may view your ultimate citizenship (this should be Heaven, by the way!) or how many NOTW stickers you have on your car, we qualify as human beings. This means that the affairs of Earth are our affairs, and as those charged with being salt and light in a putrid and dark world (Matthew 5), we should be deeply involved in bringing Biblical principles to bear in our world. Regarding the image of God, it is simply humanity’s most ancient and precious asset, and though most do not acknowledge or understand this Image, it is the property of all men and must be protected from extinction upon Earth. It is summed up for us in Philippians 4:8 as that which is true, noble, right, pure, lovely, admirable, excellent and praiseworthy (NIV). And importantly, when this Image had become extinct upon Earth (Genesis 6:5) except for the family of Noah, God hit the reset button on our planet through the cleansing of the great Flood. After the Flood, God instituted human government with the design purpose of protecting that Image from extinction (Genesis 9:6). The next time God acted to protect the Divine Image from extreme danger was when He acted against the existing government by confusing the language of humanity at Babel. Humanity had taken the idea of human government and had quickly become enslaved to it, giving rise to the one-world government of Nimrod in Genesis 10 and 11. By confusing the single language of humanity into several, God essentially and knowingly instituted the idea of many separate and sovereign nations upon Earth as essential to the survival of the Divine Image upon it. And it isn’t hard to understand why: with many separate and sovereign nations, nation can hold nation accountable for evil deeds or evil ideologies. Under such an arrangement, freedom and dignity will survive and thrive in some places, and may even explode wonderfully if a nation gets the ingredients right. However, if there is but a single government, all people will soon be enslaved to it, and our greatest asset will become extinct in short order. It should therefore stand to reason that for God’s system to work requires patriotism, but it is not a simple patriotism that is called for. Simple patriotism embraces only the principles of love of country and loyalty to country. Our full patriotism must include these ideas, but must also include our allegiance to the Image of God. And for the Image of God to flourish requires national adherence to Biblical principles of personal and national conduct. Are all nations worthy of full patriotism? No. What is good in a nation deserves our simple patriotism (love of country and loyalty to country). But full patriotism requires that we reform what is wrong in our nation. This is what is taught to us by the lives and examples of the prophets of Israel and Judah, who as the reformers of their day constantly challenged their nations to re-form back to what was most noble. Also, being an Image Bearer requires us to oppose that which is overtly evil. I don’t think I could be any kind of model citizen under an Adolf Hitler, a Pol Pot, or under an ISIS or a Boko Haram. Is the United States worthy of our patriotism? This is kind of a trick question. There are two aspects to the United States government: the Constitutional and the non-Constitutional. Regarding the Constitution I give an unqualified “yes.” In March of 1984 I took an oath to support and defend the Constitution against all enemies foreign and domestic. My time of service has long since come and gone, of course, but the oath I gave has no expiration date, and there is no disagreement between my continued fidelity to that oath, the internal witness of the Holy Spirit in me or the plain witness of Scripture. But when and where our government steps outside of its mandate into non-Constitutional waters, full patriotism dictates that it must be reformed or opposed, for it tends toward antichrist-ism, as all governments eventually do in their effort to lead us back to Nimrod’s Babel. All of us inherently understand that we would have no love or loyalty toward the government of the Antichrist, but we kid ourselves if we think that the movement to set the stage for such a man is not well under way. An overview of what we see of his government in Revelation will shed some light on what is transpiring today: one-world governmentalism (necessitating the erosion of local and national sovereignty), one-man law, one-world religion with an extremely anti-Biblical bias, personality worship, no personal freedoms, the death of all who oppose, and insipid hatred for the Jewish people. This creeping movement among governments and ideologies is the antichrist-ism that is setting the stage for the Antichrist. Such things must be opposed by the full patriot. Fidelity to the Constitution is easy in light of this, for it is simply the greatest anti-antichrist document ever written by the hand of man, explaining why there has been such an explosion of human freedom and dignity under its covering. 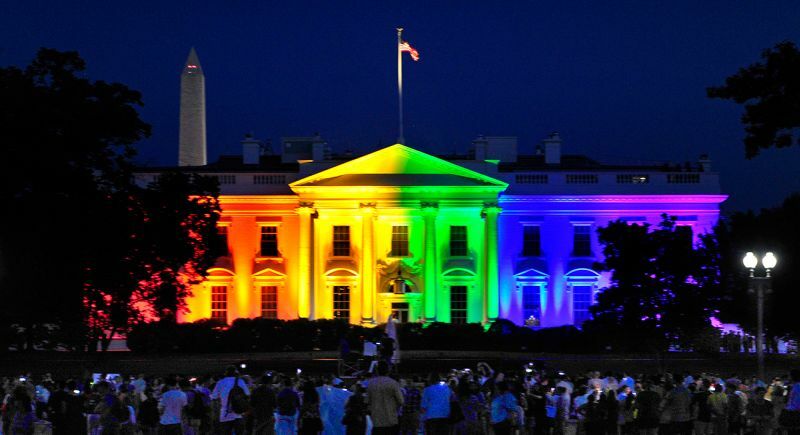 Why is there such a sadness among Bible-believing followers of Christ at the Supreme Court decision to create a Constitutional right to homosexual marriage, and at the White House’s celebration of that decision? It is good and true patriotism to be saddened when you see your nation becoming what’s described in Romans 1:18-32. This Supreme Court decision (and the public support behind it) ultimately constitutes giving the national finger to God, but we’ve already been doing that for more than forty years over the issue of abortion. Now we have simply made it official by involving both middle fingers, and that speaks deeply and terribly regarding the heart of the American people. It is an appropriate time for sadness. How has this happened to the United States? We must bear in mind that corruption is the way of all things on planet Earth. This means that anything – no matter how well or nobly begun – will become corrupted, and eventually will become corrupted completely. This includes nations. It may surprise a lot of people, but I happen to agree with Barack Obama when he said that America is not a Christian nation. We are not and never were a Christian nation, because Christianity is wholly unsuited to the issue of human government. God forbid that we should ever make belief in Christ a requirement of law. What we once were, however, was a nation made up largely of Christians, and during the founding of our nation this meant that the formation of our government was heavily influenced by Biblical principles, such as the sinful nature of humanity, the necessary evil of government, the boundaries of good government, and national accountability to a holy Creator, to name but a few. This resulted in the United States being a Biblically-minded nation, and a place where Biblical ideas held sway and were respected. In a sense, the United States was designed as a theocracy, but not the kind of theocracy run by a pope or an ayatollah or a set of priests or a divine emperor. Instead, it was designed to be what I call a feather-touch theocracy – one that did nothing more than acknowledge that there is a Creator, acknowledge that the governed were created in His image, and acknowledge that this Divine Image was to be protected by government, thereby leading government to honor what God’s Word says is honorable, and to dishonor what God’s Word says is shameful or wrong. A feather-touch theocracy understands that it is best to arrange the affairs of a nation in keeping with the nature of the One who created everything. It just makes sense. But over two centuries later we are now heirs to a nation and culture in which Biblical ideas have been systematically obliterated in government, in academia, in media and (most sadly) even in our churches. The corruption is nearly complete, and Scriptural thinking is becoming wholly unwelcome in our land. What will things look like now? We all sense that we’ve somehow turned an important corner, but are perhaps unsure of how to quantify the damage. Please allow me to try to explain. What has really happened is that the final nails have been driven into the U.S. Constitution. It has essentially been rendered meaningless, and none of the three branches of government respect its authority over them any longer. 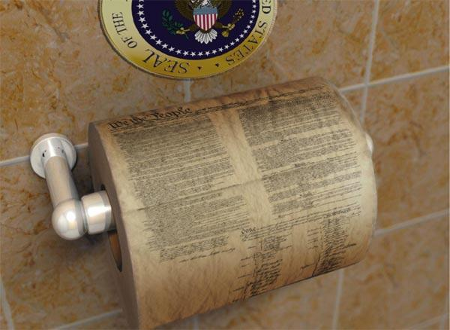 The Executive Branch is in a no-holds-barred grab for antichrist-like powers, and President Obama’s only question regarding the Constitution is whether it comes it 1-ply or 2-ply, so contemptuous is he of that great document. The Legislative Branch is constantly creating more government while at the same time ceding national sovereignty to foreign entities and ceding its authority to the Executive Branch. And, sadly, the Judicial Branch now rewrites the Constitution at will. The result of the death of the Constitution will be the swift rise of antichrist-ism in our land. This may sound ludicrous, but please don’t be dismissive of the thought. It won’t be here next week, of course, but the trend toward antichrist-ism will accelerate. Biblical thinking and practices will become illegal, and all people will become enslaved by a government that knows no guardrails. And one more thing: Welcome to the hell of pure democracy, where 51% in an opinion poll defines what is right, what is wrong, what is law and what is not. Our Founding Fathers were deathly afraid of such a system of government, and the Constitution was written to protect us against it. It is the most dangerous form of government known to man, for it will change with opinions from week to week, and is subject only to the wickedness of the sinful nature. Glad you asked – this is where we get to the fun part! Keep your chin up! What a great time to be alive! How awesome and privileged we are to be alive during such epic times as these, when Earth itself hangs in the balance. The motto on our website is the motto of this church: Epic times. Epic faith. We can do this! Understand the nature of being in exile. We’re effectively exiles now in a land where our principles once held sway, so we need to do exactly what David did when he was in exile – he continued to do the Lord’s work! And so will we. We’ll continue to preach salvation to the lost, continue to teach the truths of Scripture without apology or compromise, and continue to care for those in need. Stick to the Word of God. During the years of his exile, David fought with a weapon that had no equal in its day – the sword of Goliath. Our weapon without equal? The Bible. For the word of God is living and active. 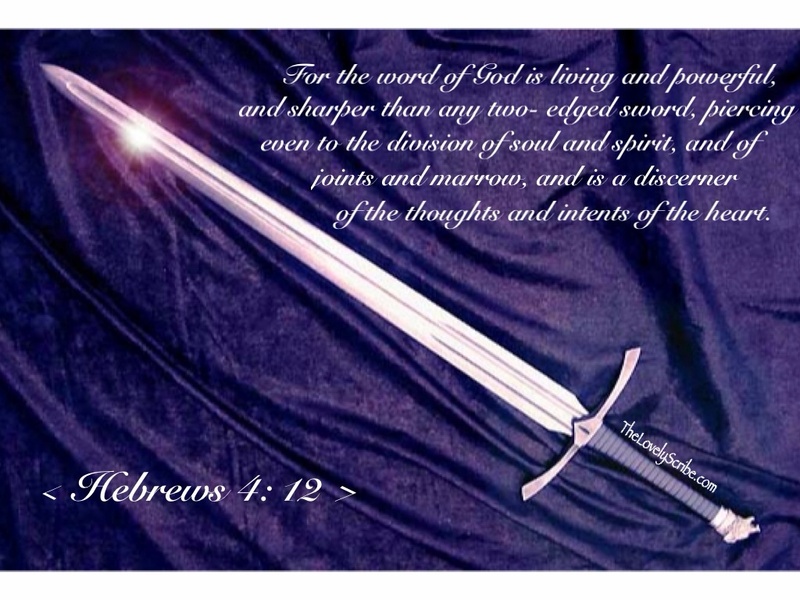 Sharper than any double-edged sword, it penetrates even to dividing soul and spirit, joints and marrow; it judges the thoughts and attitudes of the heart (Hebrew 4:12 NIV). Know your weapon and how to use it. And do yourself a favor: Learn to believe it fully, or walk away from it completely. Half-hearted Bible believing and teaching has rendered Christianity virtually impotent in the world today, and does no one any good. The coming winds of persecution and discomfort will separate the wheat from the chaff. Know where you stand and why. Get over being comfortable. The Church doesn’t tend to shine during times of comfort, and thankfully a blitzkrieg of discomfort is coming our way. What wonderful and purifying days are ahead for us – perhaps the best days ever for Christianity in America! Look for the secession movement. The Constitution was designed around a quiet fourth branch of government: the individual States and their sovereignty. During the coming times, there may be a State or States who reset back to the Constitution and try again. 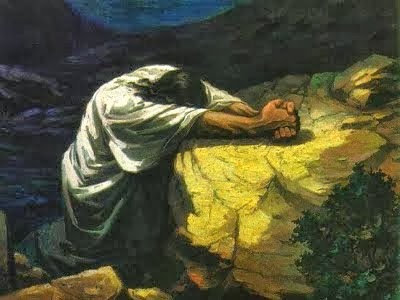 If or when this occurs, remember that stewardship of the Image of God requires that dignity, honor and freedom survive. We can fight for these things, and we can and should want them for our children and grandchildren. Consider supporting or joining such a movement should you see it, especially if all efforts at national reformation fail. Pray and repent sincerely for our nation. Daniel repented and prayed for his nation in the most remarkable and personal way, and I encourage everyone to read and deeply consider his prayer for Judah (Daniel 9:4-19) as a model for our own. And remember that God made a famous promise specific to national Israel, but the principle behind that promise is undoubtedly true for us today: If my people, who are called by my name, will humble themselves and pray and seek my face and turn from their wicked ways, then will I hear from heaven and will forgive their sin and will heal their land (2 Chronicles 7:14 NIV). Know that great things are possible. When things were darkest for national Judah, and the judgment of God had been prophesied and was imminent, there arose in Judah a king (Josiah) who sincerely did just what God had prescribed in 2 Chronicles 7:14. And guess what? God then promised that He would withhold His judgment from Judah until after Josiah’s death. God gave Josiah and Judah more time, and Josiah used that time to boldly stand with and for the Word of God for the rest of his life. Judah then saw what was arguably its greatest revival, and the Light of Truth shone again from Jerusalem in splendor and majesty one last time. Our Josiah time – our greatest time – is coming to us, but it must come to us in exile and discomfort. Let us look to that, hope for that, pray for that and fast for that as full patriots should. Great sermon, Pastor. 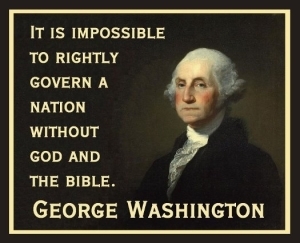 You have correctly described the state of our once great Nation and he decline of Christianity by our people. Hopefully, true Christians will wake up, rise up and defeat rise of anti-Christianity. Thanks, Pastor Barry, for a great and meaningful. Thanks Pastor Barry, it’s a blessing to know you, and stand with you. I shall keep my chin up. Thanks for the words of wisdom.